Different types of acne respond to different treatments. Depending on the type of breakout you may be able to get results from a variety of products, such as a retinol, salicylic acid, benzoyl peroxide or a combination of these products. We carry SkinMedica products at our office and see wonderful results in our patients. 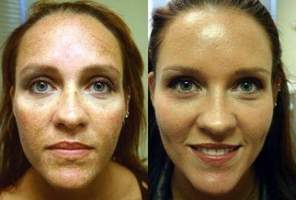 An acne facial or consultation with an experienced esthetician would put you on the right track.